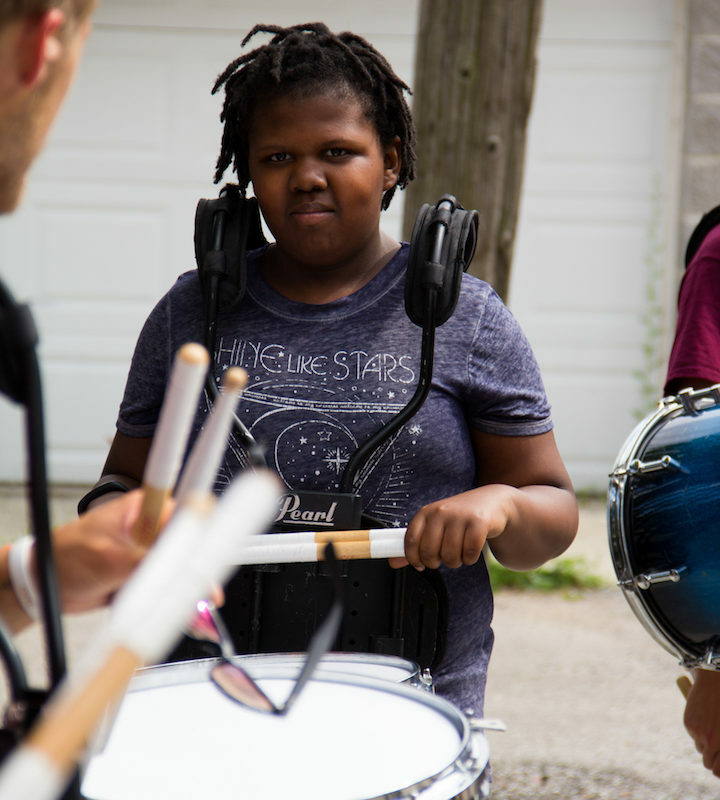 The Major Adams Center is a vital component of the West Side community providing a safe space for young people to learn, grow, and visit after school. 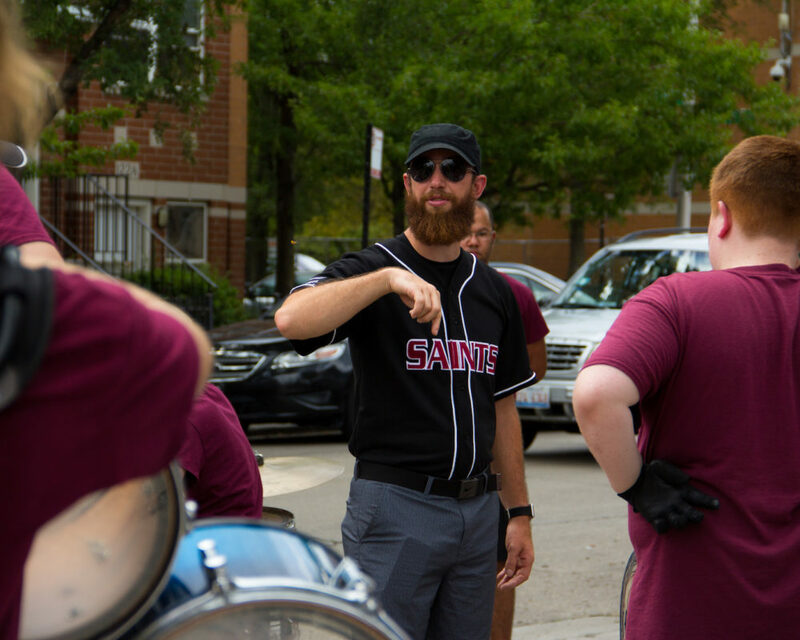 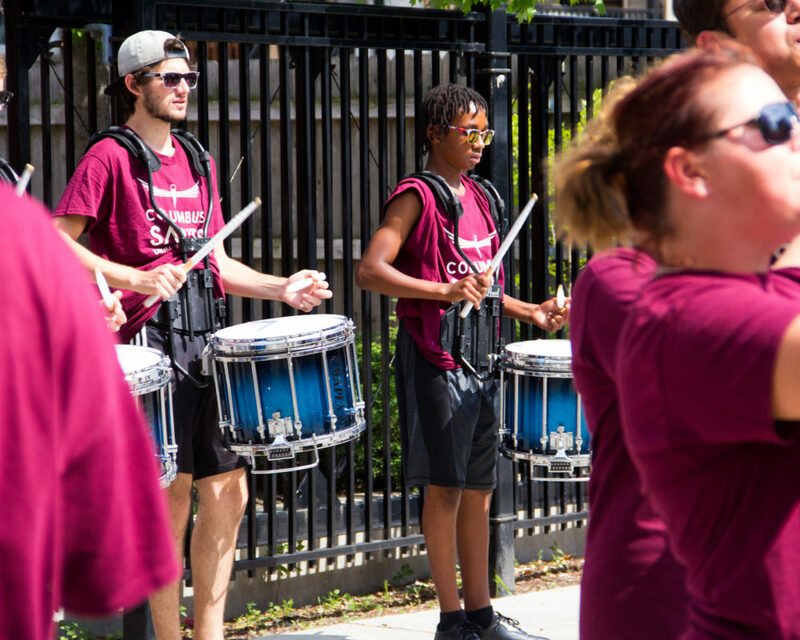 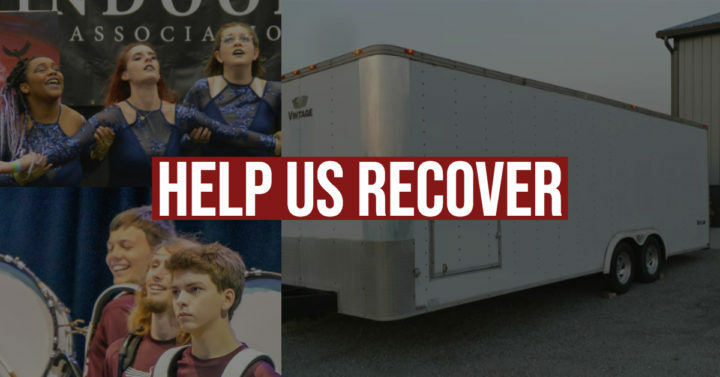 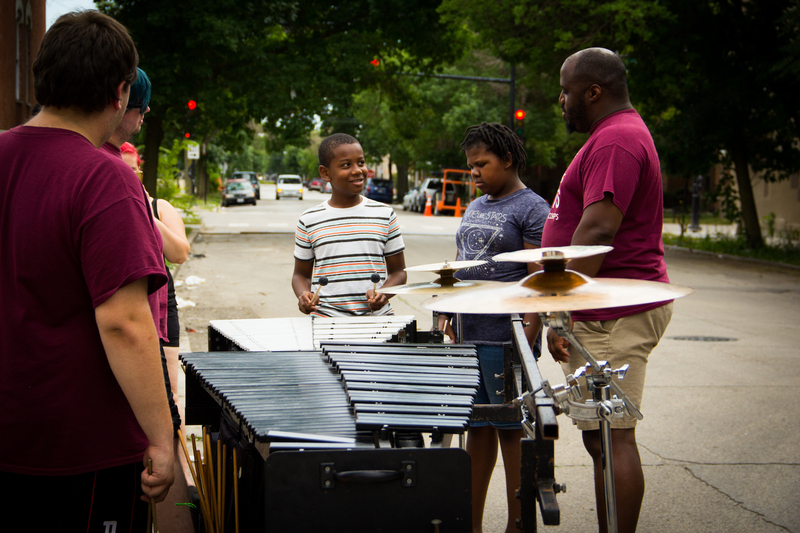 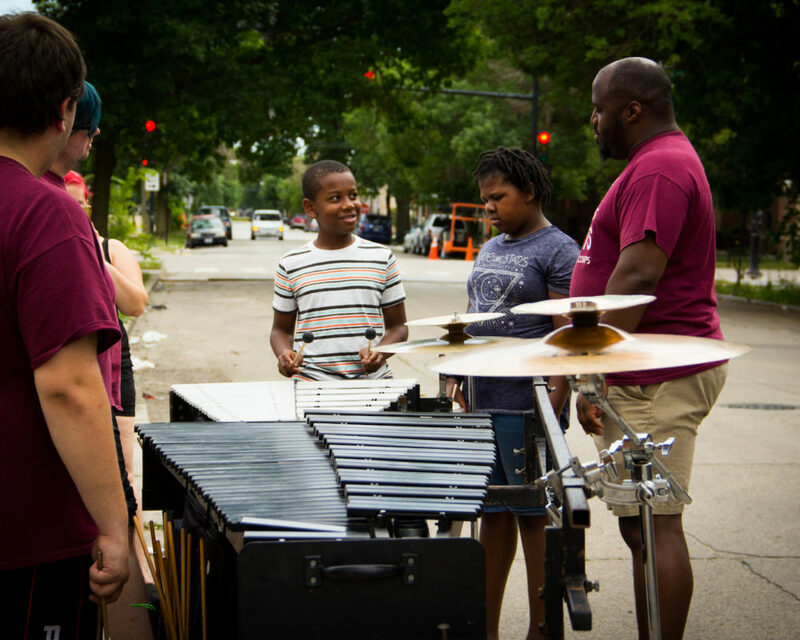 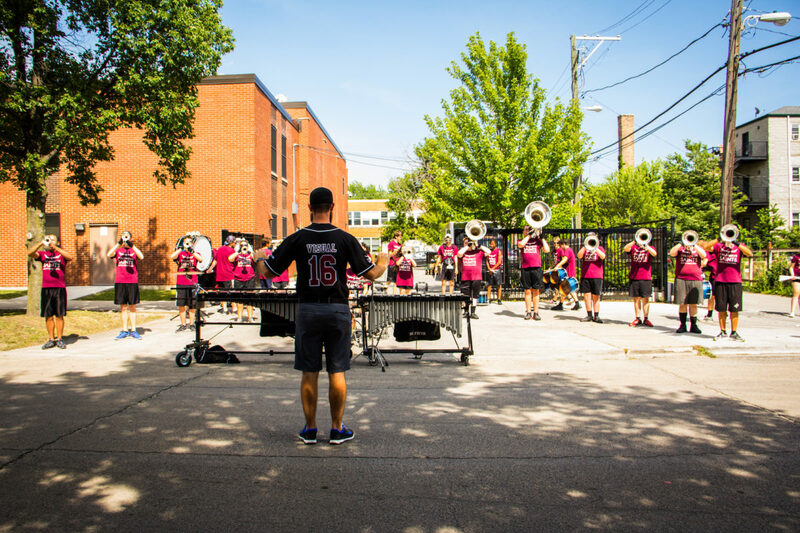 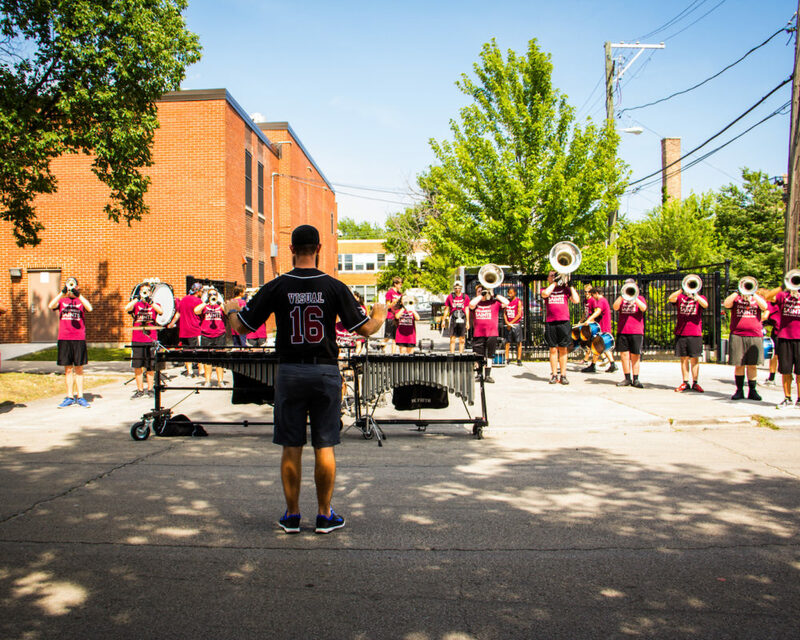 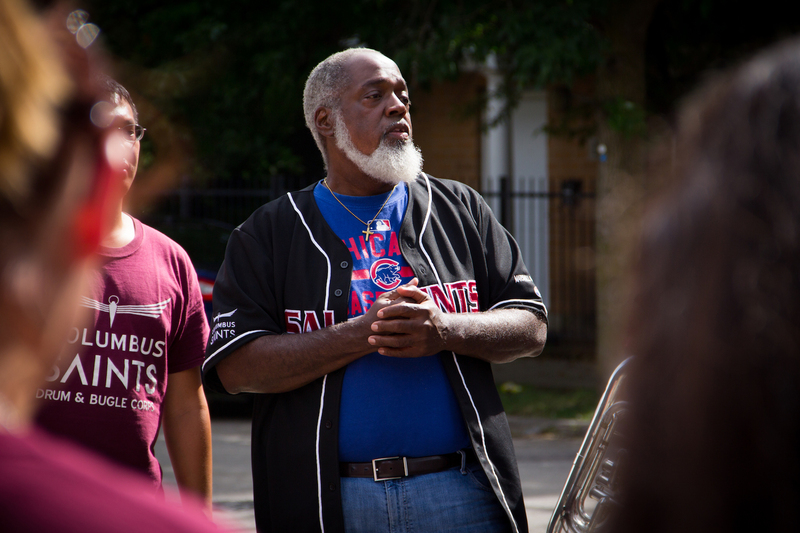 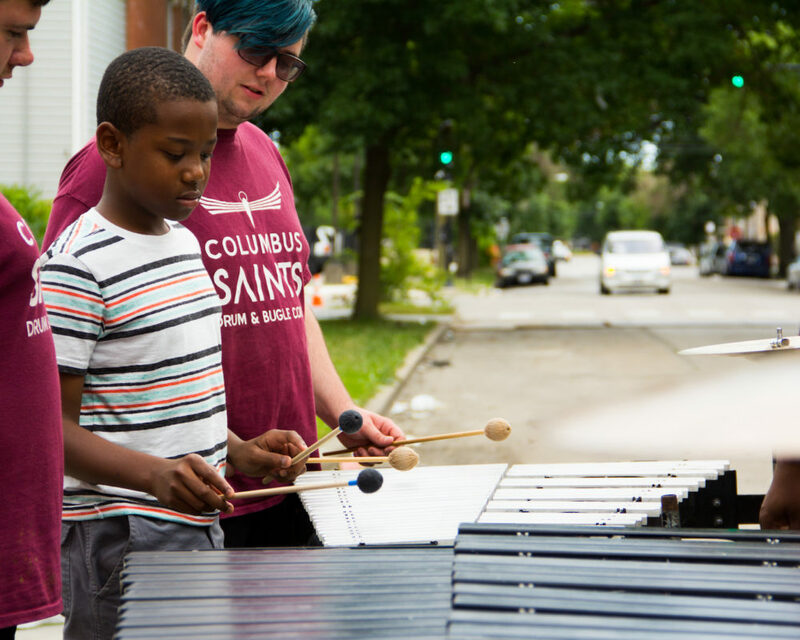 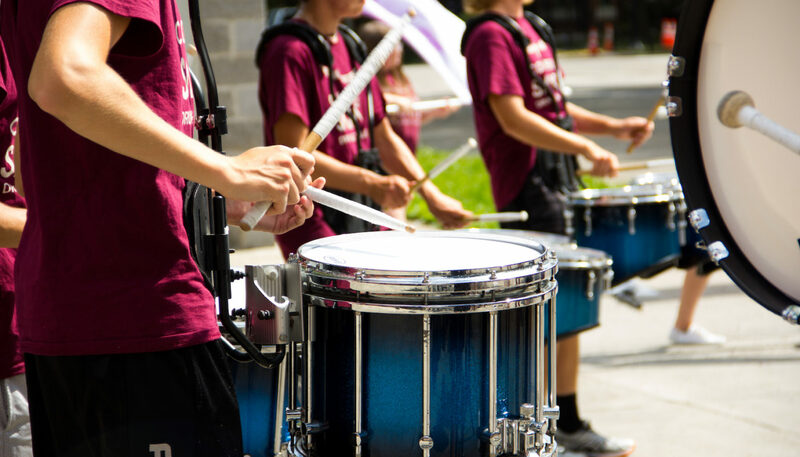 The center for many years has been running a small drum and flag team with plans to grow and march in more community events providing performance opportunities for Chicago youth. 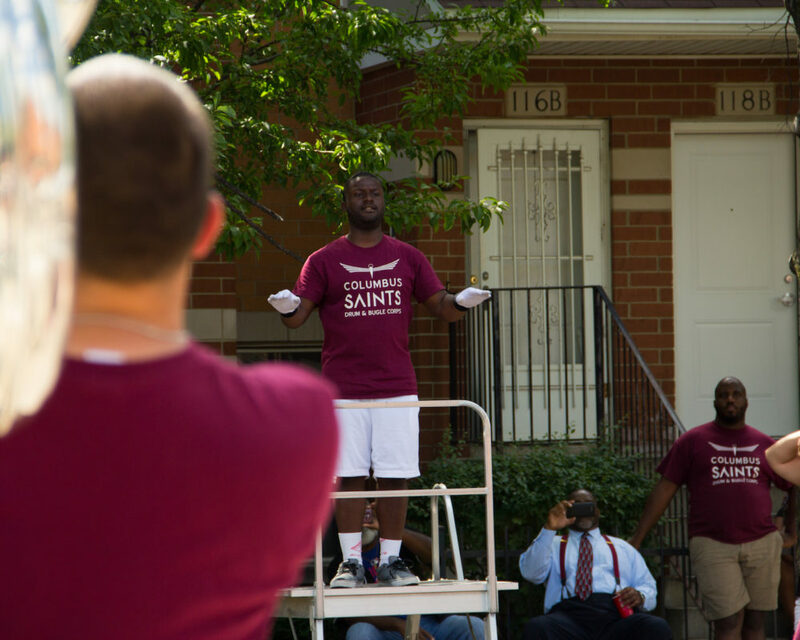 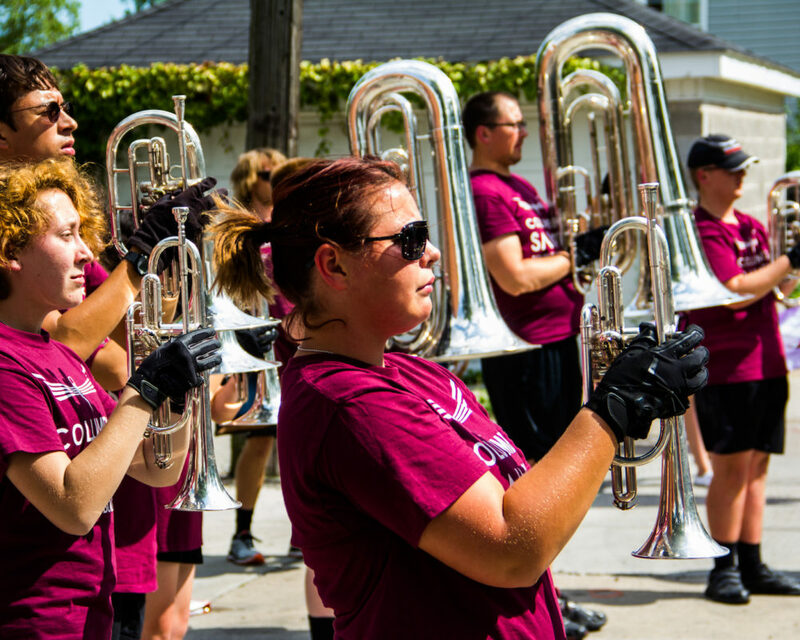 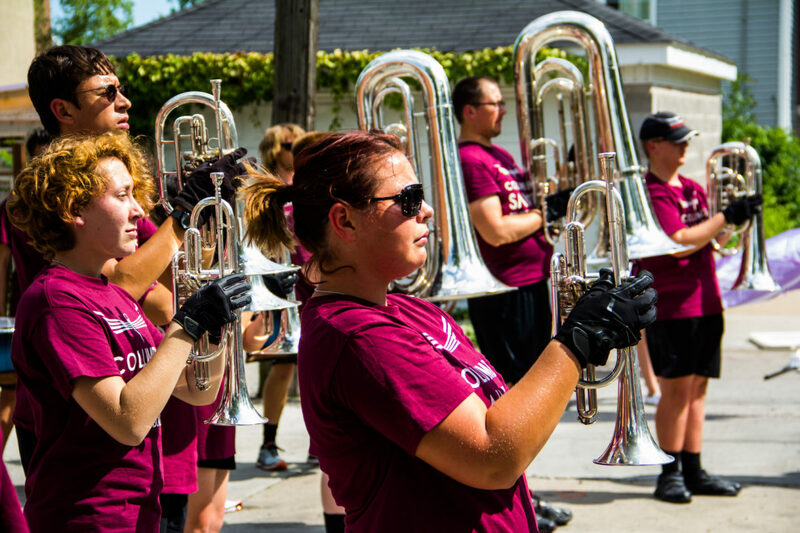 The Saints, also donated nearly 100 Uniforms formerly worn by Lake Erie Regiment & Spirit of Atlanta, to the Major Adams Community Center, along with a G Bugle, and other items in appreciation and to help the center grow their burgeoning drum & bugle corps. 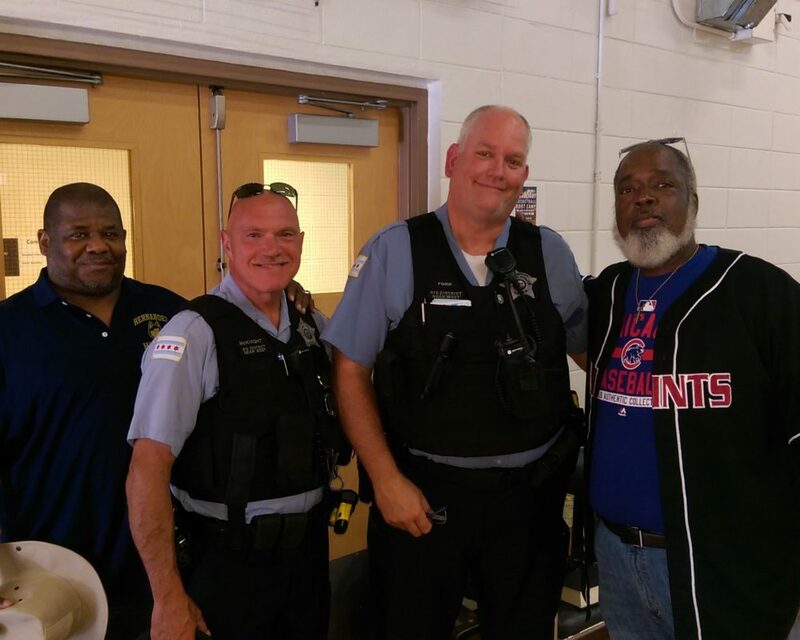 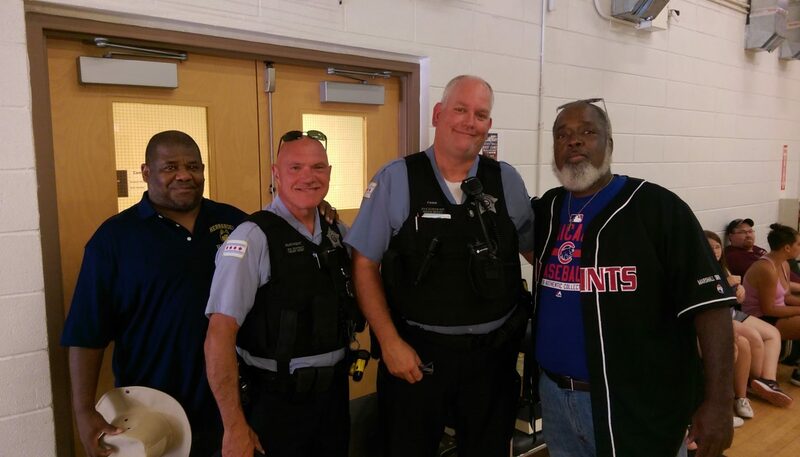 Chicago PD stops in for a visit. 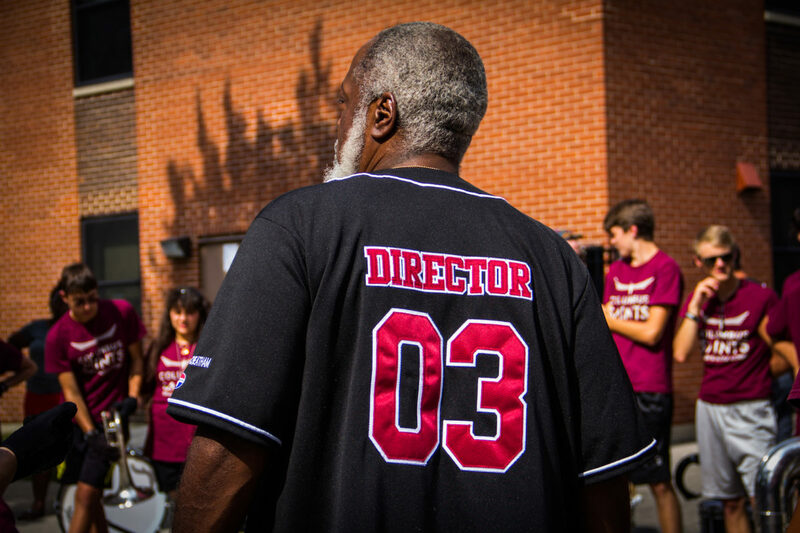 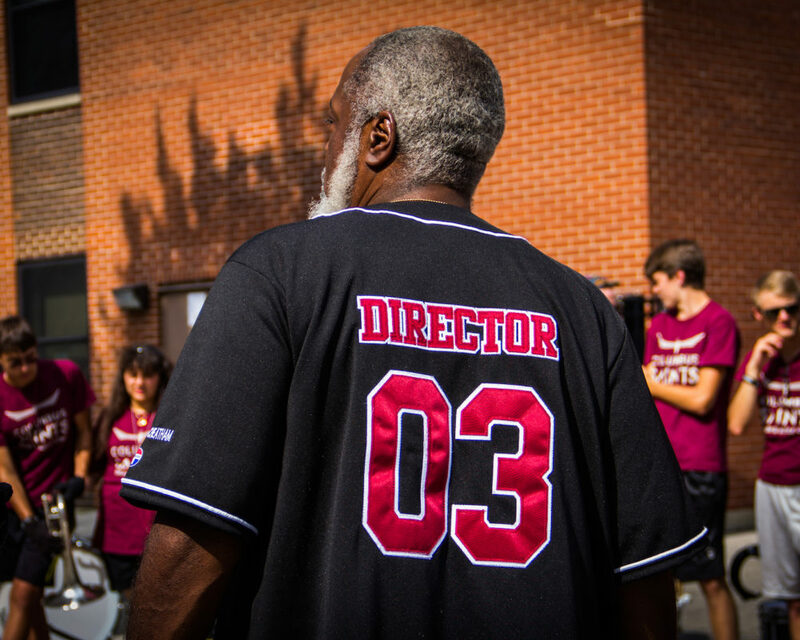 Director Le Ron Carlton speaks with youth. 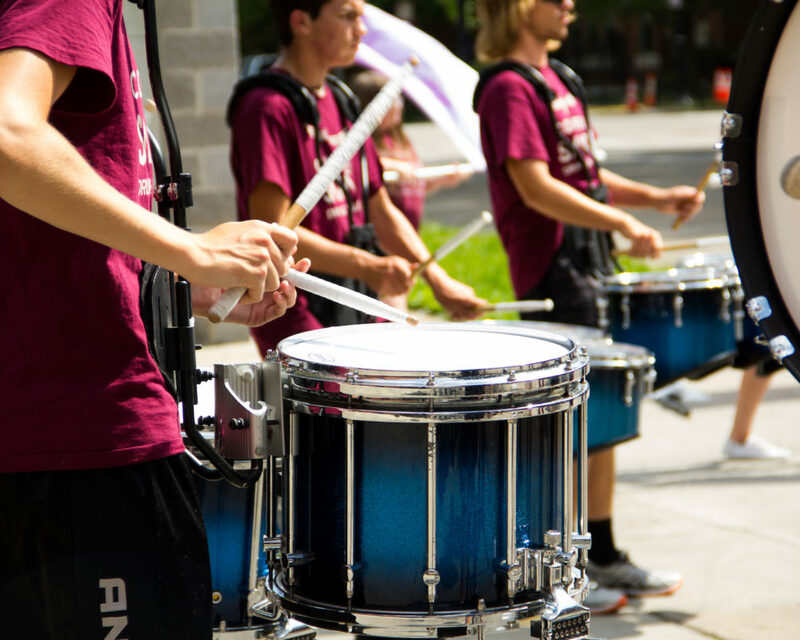 A closeup of snares during the clinic. 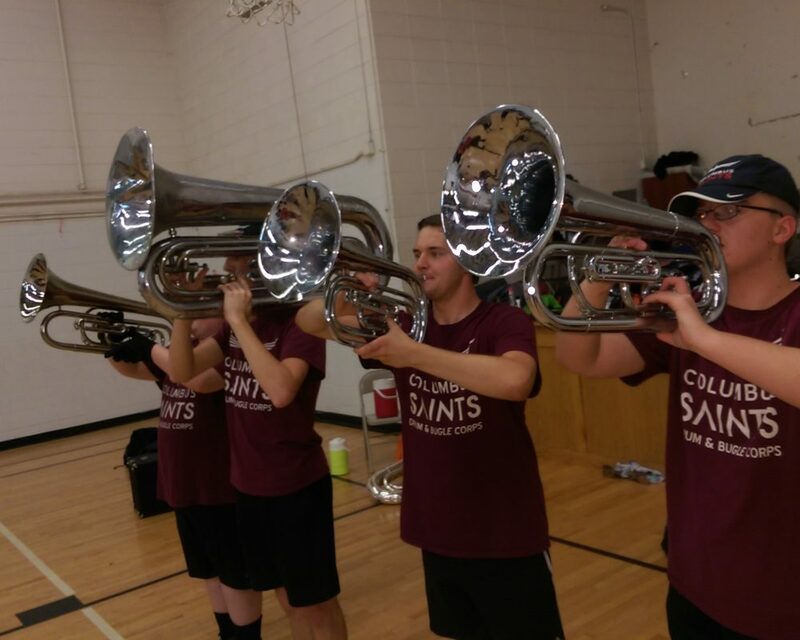 Breaking out G Bugles from the 1960s! 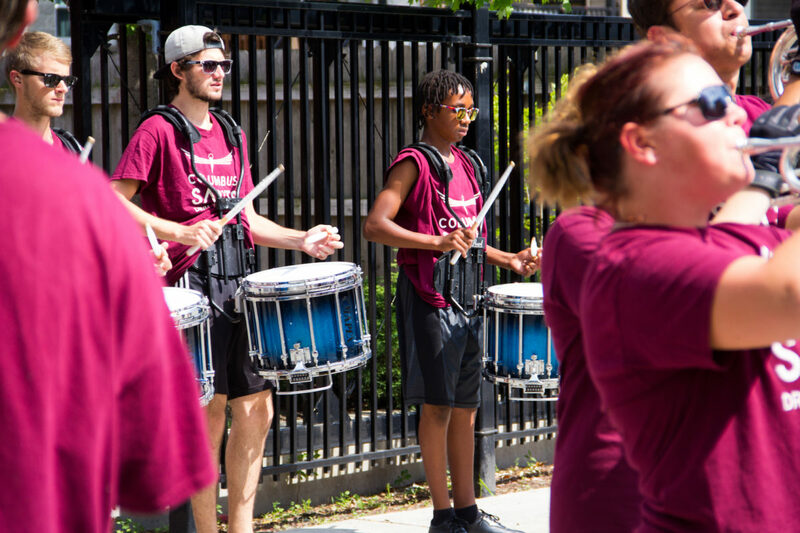 During the performance one resident drove by stating “hearing music reminds me of when the Hornets used to rehearse here back in the 70s!” showing the long lasting memory of drum corps in the area. 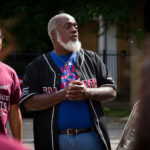 Many of the staff themselves live nearby and were involved with the St Andrew’s Hornets and view the center as a continuation of Major Adams dream for the community.The founder of the Hornets; Major John Adams recently passed away at the age of 94 years old, after influencing so many young people including Maurice and Verdine White of Earth, Wind & Fire, and creating unique opportunities for music for over 40 years. 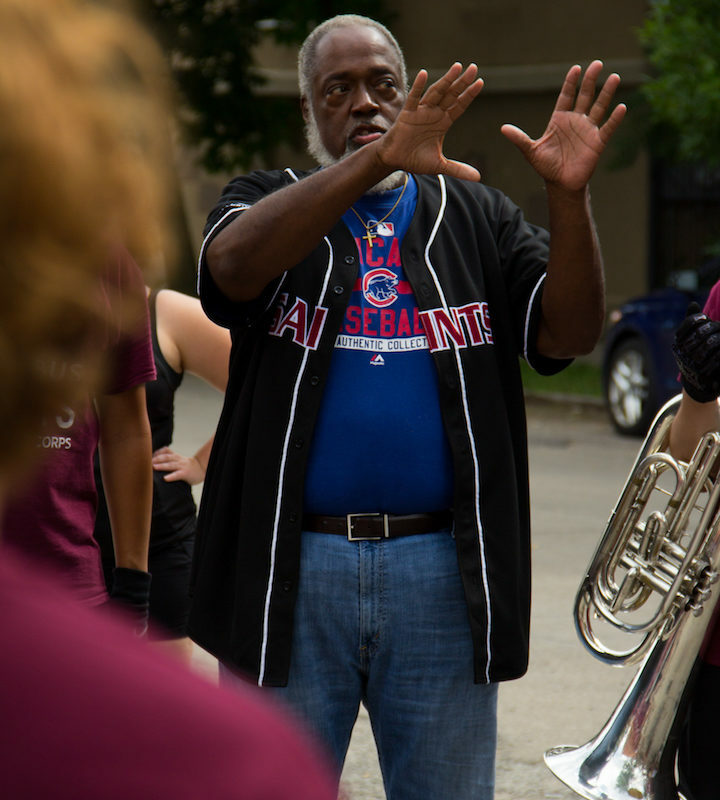 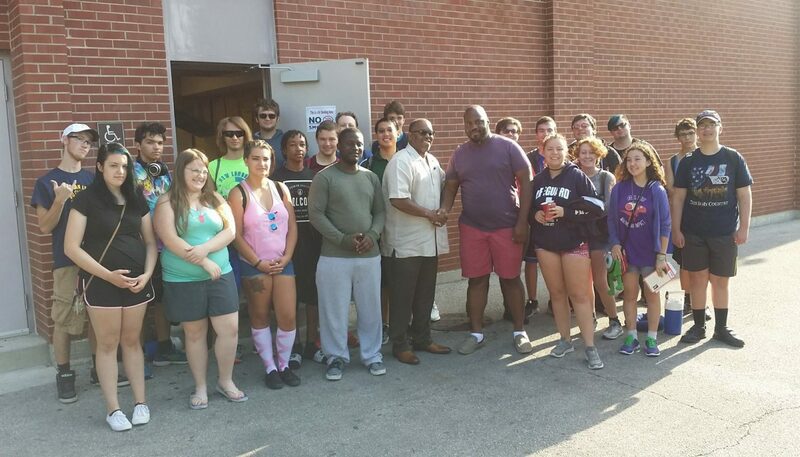 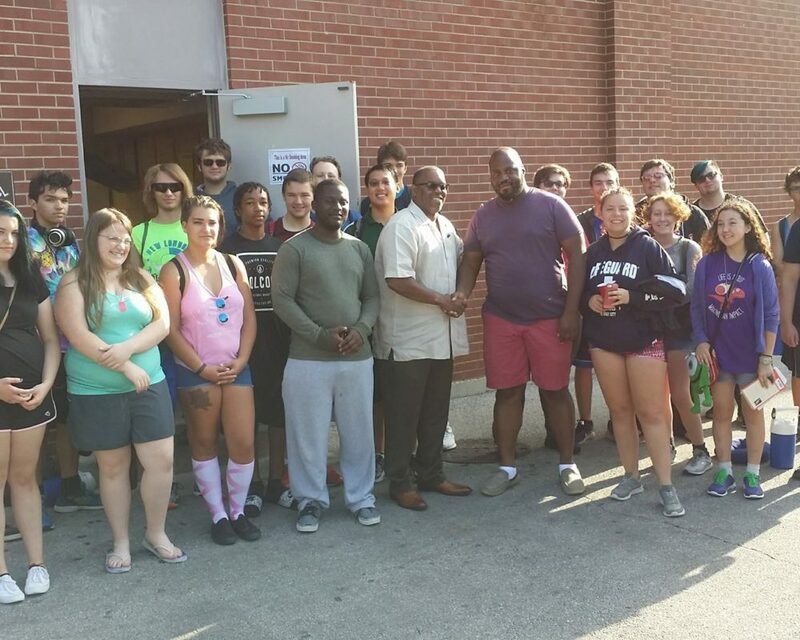 The Saints are so excited to be part of the legacy of Major Adams, the St Andrews Hornets, and have a chance to help forge a new partnership to continue his dream of helping young people through music.